A view of Route 283. Labor Day weekend kicked off with a whole lot of water – as up to eight inches of rain fell in central and eastern Pennsylvania on Friday afternoon. 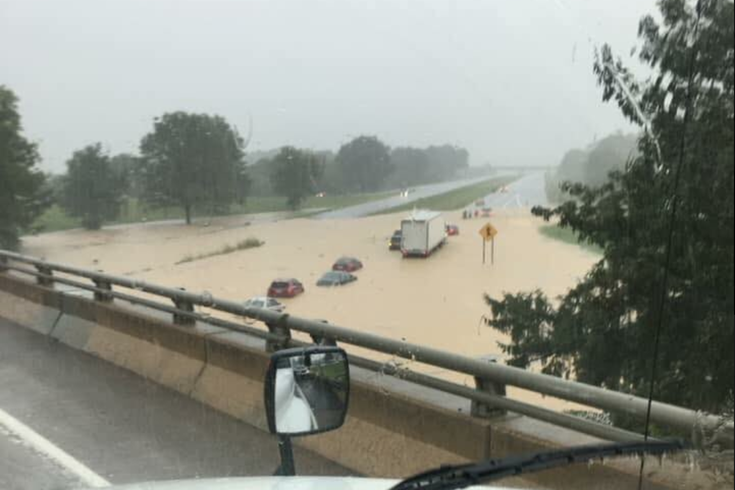 Parts of Lancaster County and Mount Joy were hit especially hard, and a section of Pa. Route 283 near the Manehim/Mount Joy exit saw standing water for cars passing through. A flash flood emergency taking place in Lancaster County, PA. Report from an Emergency Manager stating 8.5 inches of rain in a 3 hour period. 7 water rescues have taken place, and I fear that number will increase on this holiday weekend. Anyone driving through these areas for the weekend should take extra precautions.